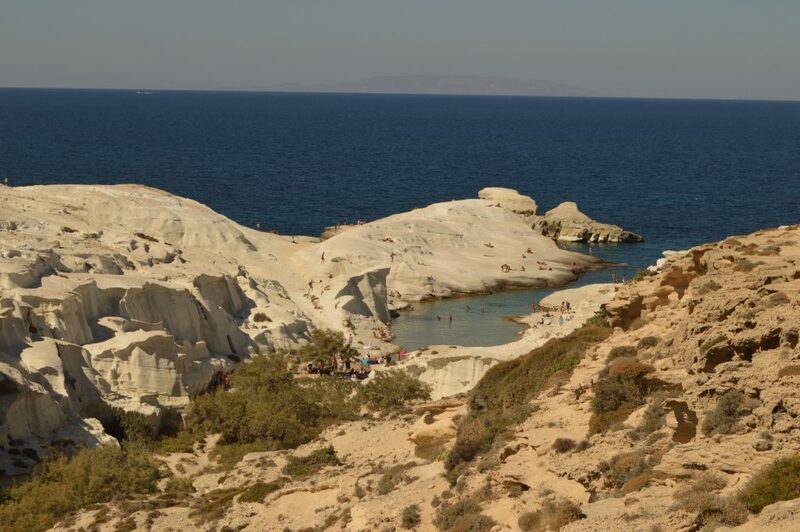 I have seen many beaches, but like the beaches of Milos, I have seen very few. So different from each other, with crystal clear water that allows you to fully enjoy this island. 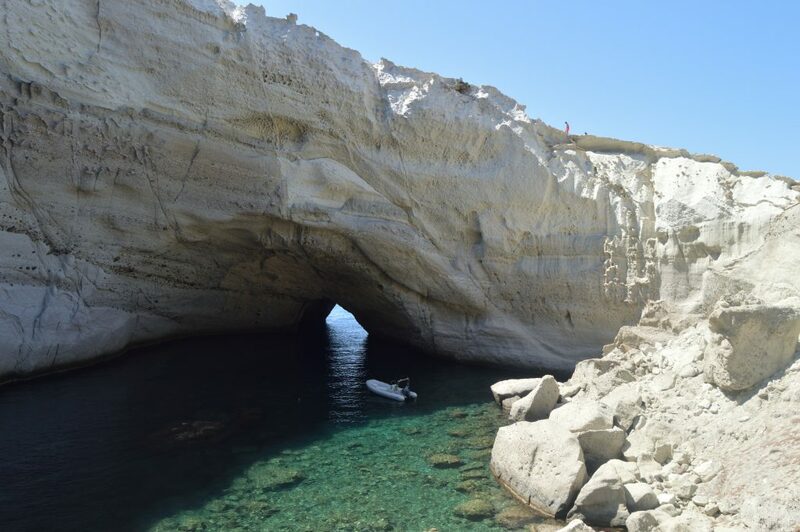 Wild and not very popular with tourists, I recommend anyone to include Milos among the islands to visit. 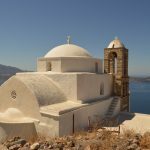 Are you planning your trip to Greece? Maybe I can help you, read here. The beach of Firiplaka is a fairly large beach, one of the most popular beaches on the island. Cut in half by a large rock (plate) which has been detached from the mountain. Easily accessible by car, just 11km from the harbor. The first part of the beach is the one where you will find the beach bar and sunbeds. No public shower, the beach has shallow but clear waters combined with white sand. 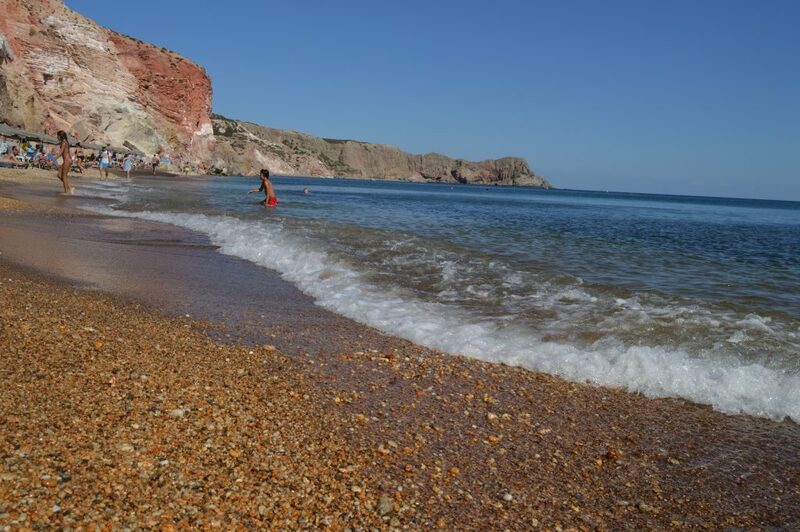 Before or after that you can also visit the beach of Tsigrado which is right next to that of Firiplaka. Paliochori beach is one of the beaches you should definitely visit for a swim. Red sand and very easy to reach, just follow the signal, google maps sometimes don’t work very well. No public shower but there are some bars to buy water, a 10km by car from the harbor. 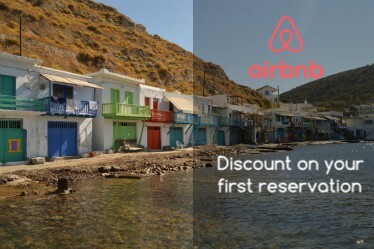 North beaches are definitely my favorite part of Milos, to reach them you can pass through the city of Plaka, a very beautiful city. Or maybe you can book a hotel in Apollonia, anyway, the distance is not so big. Talking about beaches you can start with Firopotamos beach the most western of all. Firopotamos is a picturesque fishing village, white sand, the waters have also been said to look a giant swimming pool. 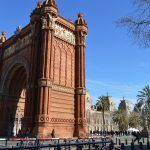 You can take so many beautiful photos and don’t forget to explore the area, there is a giant door above the rock (easily access). Between Firopotamos and Sarakiniko you can stop at Mandrakia beach, not so famous as the other two, but nice. Sarakiniko white beach is a very uncomfortable beach but is so peculiar that you must visit it. Large parking, but is always crowded with tourist, so maybe you can spend here just a few hours. Very close you can found Mytakas beach, more comfortable than Sarakiniko. Nuzzled in the picturesque beauty this remarkable long sandy beach is usually quiet with very few visitors offering a relaxing escape away from crowds. The last beach on the north coast is Papafragkas, easily accessible by car but maximum for ten people. Is a really peculiar beach, a cave, that is complicated to reach it, no flip flop, just trainers. The beaches of the west are most complicated to reach due to the morphology of this area. To visit this part you must rent a 4×4, and I don’t recommend it, so maybe you can do a boat trip. The boat trip is very common, there are so many tours and company to choose and you can book the tour the day before. A boat trip can cost from 40€ to 500€ it depends on the duration and the type of the boat. I choose a daily trip, 80€ per person with meal and snorkeling equipment included, I don’t remember the name of the boat but there was a dog in the crew (if can help you). The boat tour includes 3 or 4 stops, but most important are the Cave of Sykia and Kleftiko beach. I really enjoyed the boat trip so I recommend you to book one, it totally worth it.